Time was ripe for a better name for our project than "the foosball app". With big dreams of building an online community of Foosballers, we went megalomaniac as we realized the concept could be applied to just about any "office sport". 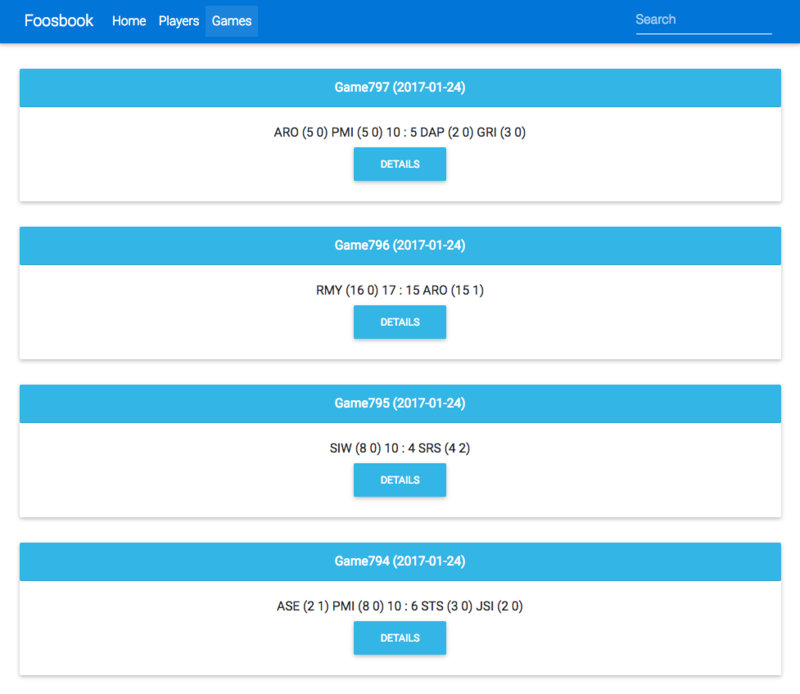 By launching the app as a service, we can enable players across "sports", companies and nations to enjoy friendly office battles! One thing leads to another, next a concept of leagues falls into place. Anyone should be able to sign in and create a league of their own. A league should be associated with a sport, such as foosball, ping-pong, dart and who-knows-what. And so begins the history of "The Office League" ! In short, we're looking for a modern Model-View-Controller (MVC) framework running in the browser. The developers were split into three teams, independently given the job to identify potential candidates for the job. Next, they would present their findings and declare their favorite! The following day, they would use the selected framework to implement an "Office League" prototype. 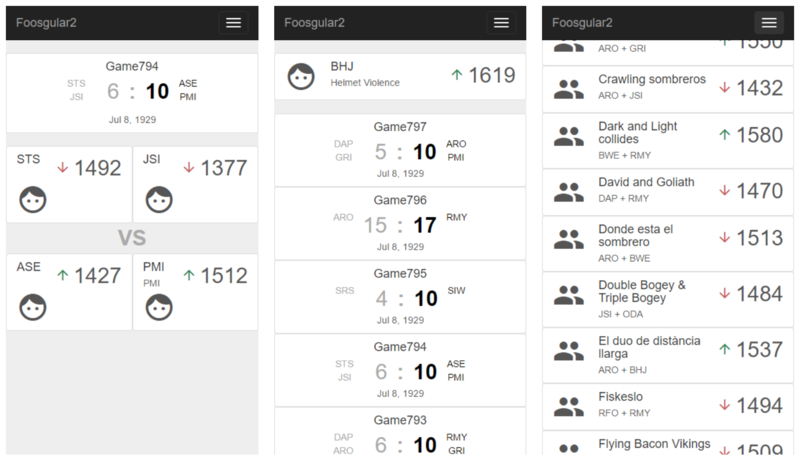 Two developers were isolated from the rest, and given the daunting task of composing a back-end prototype for the Office League. 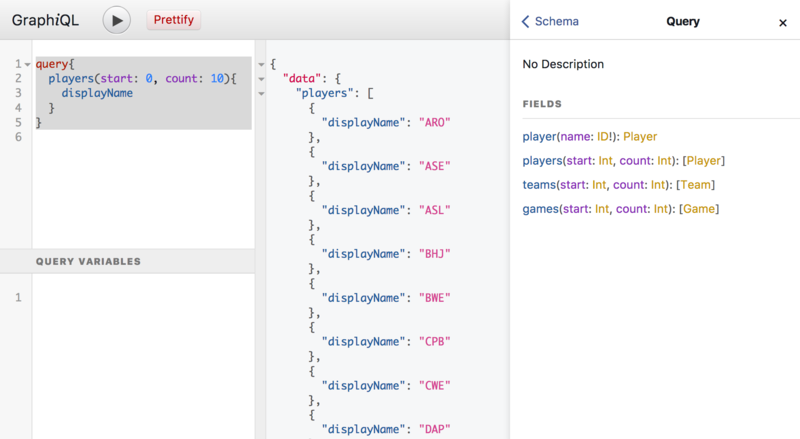 We had been peeking at an exciting piece of technology called GraphQL, and wanted to give it a go. Maybe this could be a better solution than the traditional RESTful approach? If you are more curious about GraphQL, check out Awesome GraphQL for an extensive list of resources. As we just had one day to create a live back-end prototype, with testing data, and had little experience with graphQL before in combination with Enonic XP, we went with the graphql-express API on Node.js and booted a server on Heroku. Test data was retrived from the spare-time-project Foos app and placed in simple JSON files on disk. Finally all the hard work put into "collecting data" a.k.a. "playing foosball" would come in handy! At the end of the day we had a fully functional graphQL API running, ready for the teams to use with their favorite frameworks. We already concluded that GraphQL looks like a REST-killer and will share more details on this in our upcoming posts. Apparently, the only downside was Polymer being less popular than Angular. All teams looked at React, and ranked it last - or as one team put it, number 10 out of 3. In short the developers argue using React will be a longer and more complex approach over the more integrated frameworks from Google. Also, the license put us off. Three teams of developers cannot be wrong, right? Polymer was dominating in the first round. Now the gloves come off as each team gets a full day to build a prototype using their favorite framework. Only problem is, just one team will use Polymer as we need to see how the other frameworks play out as well. As no-one wanted to use React, and Ionic was pretty much ruled out for the moment - the remaining teams set out using Angular 2 and Aurelia?!. Aurelia was suggested as interesting alternative to the other frameworks, so why not throw in a wildcard in the game? The polymer team managed to deliver a fully functional and good-looking prototype, extensively using the GraphQL api provided. The prototype provided a nice user experience handling responsive design, navigation and routing with nice url's and re-use of components across pages. Additionally the team managed to make large parts of the app support "offline" mode thanks to the PWA toolkit provided by Polymer. It should also be noted that one of the developers had some previous experience with Polymer, and also got the opportunity to put in an extra day of work. Big library of UI and helper components which solves complex issues such as google api components (analytics, maps, youtube), infinite scrolling, ajax requests, offline storage, modal dialogs etc. Limiated community, so there is not so much help on Stack Overflow etc. The Angular team only consisting of two people produced a fully responsive prototype with navigation, routing, nice URLs and component re-use. Even if it required more effort than for the Polymer team, they also managed to add offline support for the Prototype. One of the developers had been experimenting with Angular for a few hours on his spare time, so that gave them a quick start. The Angular team were impressed with the framework and how cleanly it was built. Also, the application seems performant and easily maintainable. So, how did the "wildcard" team do? Unfortunately the result suffered from many smaller issues not directly related to the framework. Nasty url's (which could easily be fixed they assured), and poorly working responsiveness was obvious. Routing appeared to be working fine. All-in-all the team only managed to produce parts of what the other teams made - in the end the most exiting part of the prototype was the name: "Foosbook" :-). The team pointed out that Aurelia was entirely new to them, and that they lost some time initially getting installed and figuring out use of things like the http-req library. The fact that Angular 2 is based on Typescript was also considered as a big plus for our team, given the fact that the Enonic XP UI has been built entirely using Typescript and we value the benefits this brings to more complex applications. Aurelia was considered similar to Angular in many ways, but remained the outsider also after testing it. 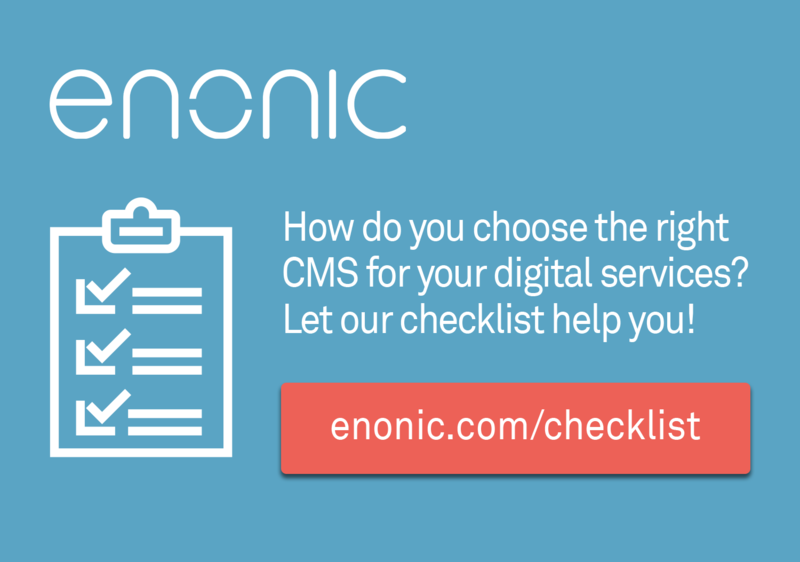 In the end, there are striking similarities between all these frameworks when it comes to how they work and the features they provide - we believe all frameworks are of high quality and recommend you to evaluate what fits best for your project and team. * The MEAN stack (A for Angular) is an alternative to Enonic XP in certain projects. Thus, adding Angular starter kits and examples to XP makes perfect sense. 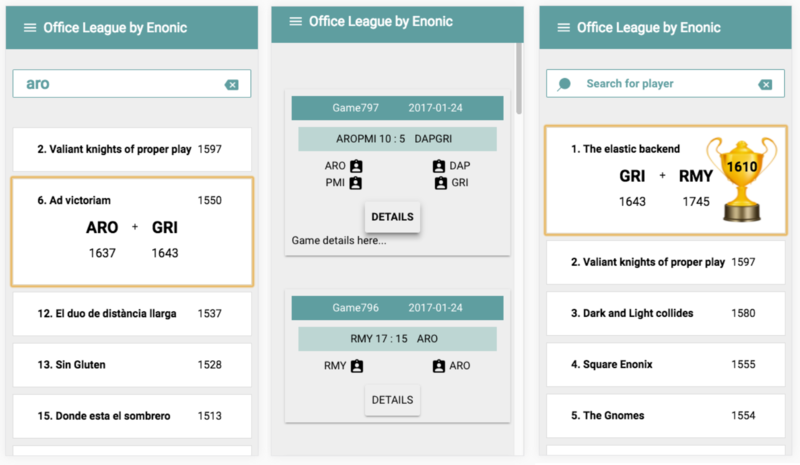 We now embark on the real tasks of creating the Office League, using Angular, GraphQL and Enonic XP - or the AGE stack if you like :-). Look forward to our next post in the series - where the data-model is established and the application interface starts to take shape.